The idea for Jewish farming was born in Russia, where many believed that anti-Semitism was bred by the fact that Jews earned livelihoods as “middlemen” and not as producers. In the wake of the assassination of the czar, the Am Olam and Bilu movements formed, encouraging “back to the soil” work in America and Israel, respectively. Not only did Am Olam (Eternal People), led by Moses Herder and Manya Bakal, stand for such farm work in America, but also envisioned the establishment of model communities in the United States based on a socialist or collectivist basis; eventually, they hoped, a Jewish state could be set up in the United States. All in all, nearly 25 collective agricultural colonies were established in the United States. Some communities lasted years, others only for months. The first agricultural colony of Russian Jews in America was established in Sicily Island in August 1881. Located four hours from New Orleans by steamboat on the Mississippi River, Sicily Island was truly a Jewish experiment. The original colony numbered 47 men and 140 total members (some say 173). Of these, 35 families came from Kiev and 25 arrived from Yelisavetgrad. The settlers, it seems, had been partly organized back in Russia. The colonization movement was the direct result of the riots and massacres of Yelisavetgrad and Kiev. In fact, for many, the April 15, 1881, pogrom in Yelisavetgrad was most likely a direct impetus for departure. The brave and ambitious colonists included young idealists who viewed colonization as the ultimate solution to the growing immigration problem, as well as several immigrants who had been farmers in Russia. According to the account of one colonist, Adolph Rabinowitz, some of the settlers were “students, mechanics, and strong able bodied young fellows willing and ready to work.” But despite the enthusiasm of their leader, Herman Rosenthal, most of the settlers had no experience in farming. Additionally, not all colonists were willing to work and become, as Rabinowitz writes, a “credit to Judaism.” Rabinowitz describes the “political, social, and religious” diversity of the colonists as he writes of the presence of “extreme” Orthodox Jews, some of whom were bankrupt merchants escaping debts in Russia who reviled any sort of change in tradition, “baptized Jews,” and other Jews who had allegedly spent time in prison. Most were not overly enthusiastic about the prospect of living in Louisiana and several members of the colony had no idea where the state was, while the rest were frustrated by the region’s tropical climate. The colonists raised $3,000 among themselves, and received $1,800 from New York’s Hebrew Immigrant Aid Society, and $2,800 from the Alliance Israelite Universelle. The New Orleans Jewish community, led by Julius Weiss and Alfred Montagu, furnished the colonists with lumber, horses and cattle; most importantly, for a year or two, members of the colony were given the privilege of working on the soil without any land charge. At the end of this period, each person would be able to purchase his share of land with money. Its success depended on their ability to adapt to agricultural work. With money in hand and high hopes in heart, Rosenthal took the money and sought out land. At first Governor McEnery offered the colony land in the Attakapas country, but that tract was quickly declared infertile. Instead, the Newman brothers offered their 2,800 acre property in Catahoula Parish, known as Sicily Island. By November 1881, the Sicily Island members had organized themselves into a society, with a written constitution and codified bylaws. Included in the colony’s original charter members were: Herman Rosenthal, Jacob Borowick, Marcus Piesakovich, Bennen Grunberg, David Eisenberg, and Ezekiel Aronstan. These men, as well as Mordecai Persachowitsch, Moses Wischnewsky, Aaron Dnorkin, and Joseph Lukawsky, constituted the Board of Governors of the colony. The group set out to establish an enlightened commune based on the principles of socialism, not Judaism. To that end, supplies and funds were communal, though a member with more credit was entitled to more supplies. All produce grown was to be shipped to the Immigrants’ Aid Association of New Orleans, “to be disposed of in the best interest of the colony.” In a relatively short time span, the colony had come together. Now named “The First Agricultural Colony of Russian Israelites in America,” the corporation was supposed to last 25 years, at the end of which, presumably, the place of Jews in society would have been changed. Unfortunately, almost immediately after buying land from the Newman brothers, it was discovered that Rosenthal had greatly overpaid. 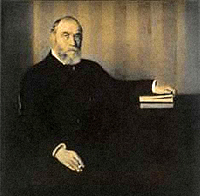 Of the 2,800 acres purchased, Rabinowitz writes, only 700 were “clear and arable.” Nevertheless, with a determined spirit, the colony’s men embarked from New Orleans to Sicily Island, 350 miles away, leaving their wives and children at the Continental Hotel in New Orleans until houses could be built on the land. Upon arrival, the Jewish farmers discovered that the only edifices available were three old and abandoned buildings preserved from the days of slavery. Rabinowitz writes of the houses as having “walls” which were “one mass of dust” and the “poisonous” air from the “privies.” The colonists temporarily lived in these three big houses while they built twelve others that were subsidized by the New Orleans Jewish community. All the while, though, the heat was taking its toll on the colony. One settler wrote, “even emancipated slaves steered clear: a climate so hot that eight months a year…the thermometer rises above blood heat.” Nevertheless, the colonists entered into their labors with much zeal. For eight months, the colonists fenced the grounds, repaired roads, plowed the fields, harrowed the soil, and chopped down trees. They cleared about 450 acres, dug wells, built cottages, and planted grain, cotton, spelt, and corn. By early spring 1882, the colonists were very optimistic: some even went so far as to write to their friends in Russia, urging them to select Louisiana as their new home. When it was necessary, the fledgling colony appealed to non-Jewish Louisianans for help. In an open letter, they declared, “it is with confidence that we appeal to our fellow citizens of all sects and nationalities to contribute all they can spare for the relief and comfort of the new colony.” The citizens of Catahoula Parish extended a cordial welcome to the “persecuted people” in their midst. Despite this optimism, the Sicily Island experiment was faltering. A forbidding environment of swamps, oppressive heat, floods, snakes, and malaria-carrying mosquitoes proved devastating to the colonists. One Am Olam member explained, “in the paradise promised, we found only serpents.” Inexperience with farming technologies hurt the colony’s chance of survival. One Texas newspaper noted in June, 1882, that five men were dispatched with each ox team; the paper concluded “[The Russian Jews] don’t seem to understand farming intuitively.” Poor quality and a low quantity of supplies certainly reduced the Russia Jews’ chances of success, as Rabinowitz notes that the settlers lacked sufficient blankets, boots, and “implements of [farm] labor,” and purchased rotten food supplies at artificially high prices. Dissociation from Jewish communal life also damaged the colonists’ morale, as Rabinowitz noted the high cost of transportation to the nearest train station in Harrisburg (twelve miles southwest). In the spring of 1882, the colony came to an end after it was literally swept away by the Mississippi River. Even though the president of the Hebrew Emigrant Aid Society had claimed that the land was “not subject to overflow,” the flood overwhelmed the region, causing $20,000 in damage. Their project ruined, most of the colonists returned to major cities, while some settled as independent farmers in Kansas and Missouri. Still others journeyed to South Dakota in 1882 with Rosenthal to participate in the formation of another colony called Cremieux, which grew to include 200 people and encompassed 5,000 acres. Yet by 1885, it too had disappeared, succumbing to draught, prairie fire, hailstorm, and insufficient funds. Adolph Rabinowitz noted that, had the Sicily Island expedition been “properly managed” it “might have been the means of accomplishing much good, and been the pioneer of that system of colonization.” On May 24, 1882, Herman Rosenthal called the failed experiment “a piece of Jewish history.” To be sure, the story of Sicily Island is not part of the well-known lore of Jewish history nor is it the traditional tale of Jewish life in America. But the colony of Sicily Island, which sought to “promote welfare by united and harmonious action,” and other such cooperative ventures deserve our attention.